With Christmas here, its time to take time to spend with the ones who mean the most to you and to kick back and enjoy some hard earned time off. We will be taking a break on Christmas Day and open again for limited trading on Boxing Day (10am – 4pm), returning to normal trade until New Years Day when I'm sure we'll all need a rest. 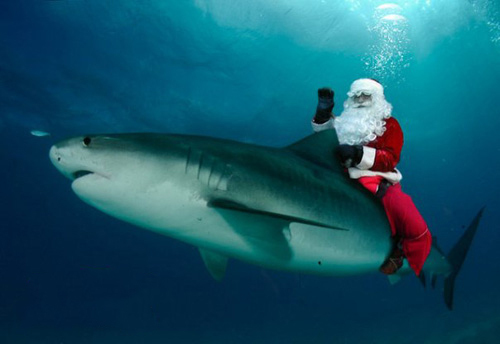 The Perth Scuba Crew would like to wish everyone a safe and Merry Christmas and if we don’t see you before… a Happy New Year!! Join the Perth Scuba Crew for our FREE Sunday Morning Shore Dive meeting at the dive shop Sunday 28 December 8:30am for your FREE BBQ breaky followed by a short drive to the dive site of the day. Meet the Perth Scuba Crew for a FREE Night Dive on Tuesday (yep Tuesday!) 30 December @ 7:00pm at Bicton Baths. Everyone is welcome to join us for our final dive of 2014!